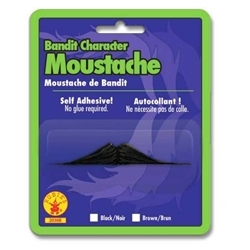 This moustache has double sided theatrical tape on it for a one time use. Available in black or brown. Use drop-down box to select a color.